How ESO’s HARPS will help PicSat the CubeSat to unravel the mysteries of the Beta Pictoris star system. A shoebox-sized satellite called PicSat, developed in record time by a small team of scientists and engineers at the Paris Observatory in France, has just been launched into space to study the Beta Pictoris star system. 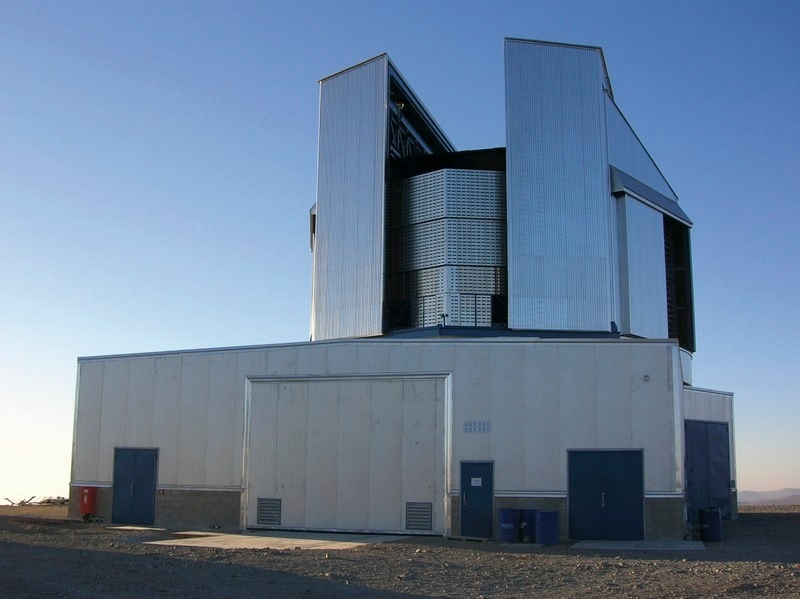 PicSat will be assisted in its mission by the HARPS instrument on the ESO 3.6-metre telescope, which will make follow-up observations to PicSat’s detections. This will be the first time that a small modular satellite — a CubeSat — and a ground-based telescope work together to address some of the mysteries of the Universe. We speak to Sylvestre Lacour, an astrophysicist and instrumentalist who leads the PicSat team, to find out more about this exciting project. Q. First of all, tell us a bit about why you chose to look at the Beta Pictoris star system. A. Having celebrated only roughly 23 million years of life, Beta Pictoris is a very young star, astronomically speaking. At about twice the mass and size of the Sun, and just 63.4 light years away, it is relatively easy to observe. 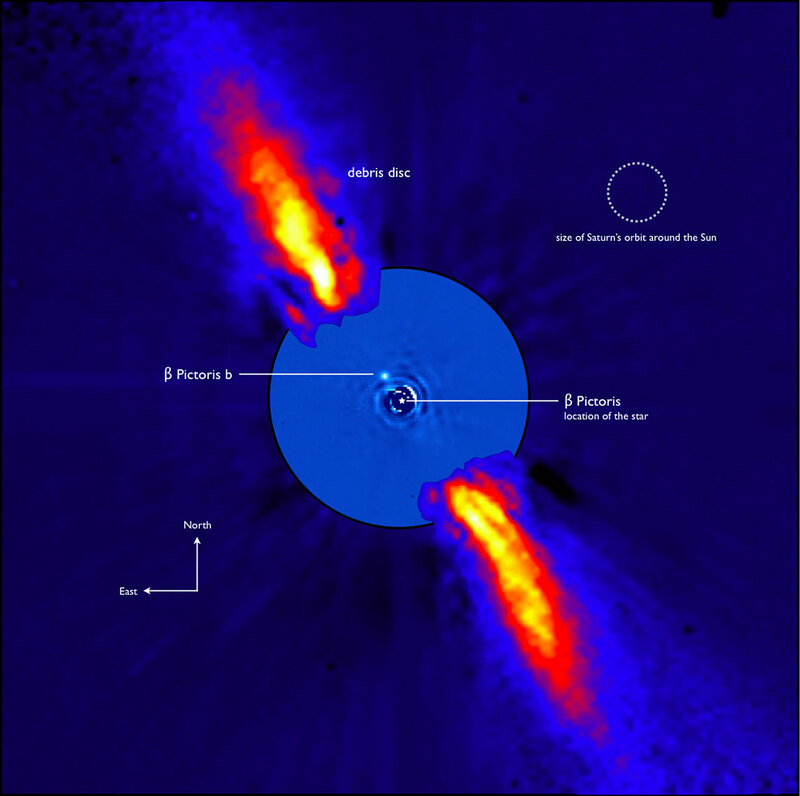 Over the past decades, Beta Pictoris has been a popular target for astronomers studying the early stages of star and planet formation, with those astronomers often using ESO facilities. In 2008 a team of French astronomers discovered a giant gas planet orbiting Beta Pictoris. The planet, baptised Beta Pictoris b, has about seven times the mass of Jupiter and orbits its host star at around ten Astronomical Units (AU). The distance between Beta Pictoris and Beta Pictoris b is similar to that between the Sun and our neighbouring ringed planet, Saturn. Satellite and ground-based telescopic observations of Beta Pictoris revealed the presence of an outer, dusty, debris disk and an inner clear zone about the size of our Solar System. In 2008, infrared observations from ESO telescopes provided evidence for a giant planet. Credit: ESO/A.-M. Lagrange et al. A few years ago it became clear that from the viewpoint of the Earth, either Beta Pictoris b, or at least its Hill Sphere, will transit in front of Beta Pictoris. The Hill Sphere of a planet is its gravitational sphere of influence — the region around it that dominates the attraction of rings and moons. Observing a planetary transit would tell us more about the young planet, for example about its size and the chemical composition of its atmosphere. Observing a Hill Sphere transit could tell us about the properties of objects around Beta Pictoris b, for example, its moons or rings. Q. Sounds exciting! So what exactly happens during a transit? A. During a transit, the planet blocks the light from a small part of the star, diminishing the amount of starlight that reaches us. A telescope captures the light from the star, and a sensitive instrument called a photometer accurately measures the amount of light received. The main goal of PicSat will be exactly that — to monitor the brightness of Beta Pictoris continuously, so as to capture the little revealing dip in its lightcurve as the planet Beta Pictoris b, or its Hill Sphere, passes in front of it. A transit of Beta Pictoris b itself would take a few hours and would show a clear dip in the light curve. Because the reach of the Hill Sphere extends a very long way from the planet, a transit of only the Hill Sphere could take up to several months and could result in a more irregular light curve as several rings or moons pass by. Q. And why did you choose to build PicSat for this job? Couldn’t an existing ground-based telescope do exactly the same thing? A. So far it has only been possible to estimate an approximate time for the moment of transit — we believe that it should occur by summer 2018. Because of this uncertainty, we needed something that could continuously monitor the star system. Ground-based telescopes can only observe at night and are in high-demand — they are too busy to make continuous observations. So we decided that sending a satellite into space would be the only way to ensure that we capture this phenomenon. PicSat will orbit around the Earth from pole to pole, as the Earth rotates below it. This means that PicSat can always see to either side of the Earth without its view being blocked, allowing it to continuously observe Beta Pictoris. With a polar orbit, PicSat will pass over the poles of the Earth, constantly keeping an eagle eye on Beta Pictoris. The fully assembled PicSat, which consists of three cubic units stacked on top of each other. 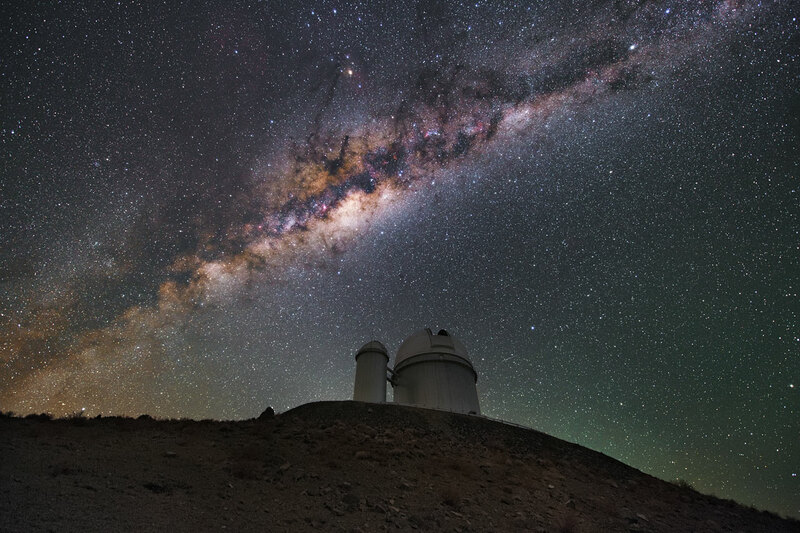 When PicSat observes photometrically that a transit is taking place, we will use an online form to alert people working at the ESO 3.6-m telescope. As soon as possible after they have been alerted, they will use the HARPS (High Accuracy Radial velocity Planet Searcher) instrument to make detailed spectroscopic observations. The photometric (measurement of the amount of light) and spectroscopic (measurement of the wavelength distribution of light) observations can then be combined to find out much more about the star system. Q. We’d love to hear a bit more about PicSat itself. A. PicSat, a contraction of Beta Pictoris and Satellite, is composed of three standard cubic units with side lengths of 10 cm. The project started in 2014 when I proposed using CubeSat technology to observe the predicted transit. I gathered a small local team and together we worked hard to design and build PicSat. It is incredible that in less than four years we have reached a stage where PicSat is being launched! 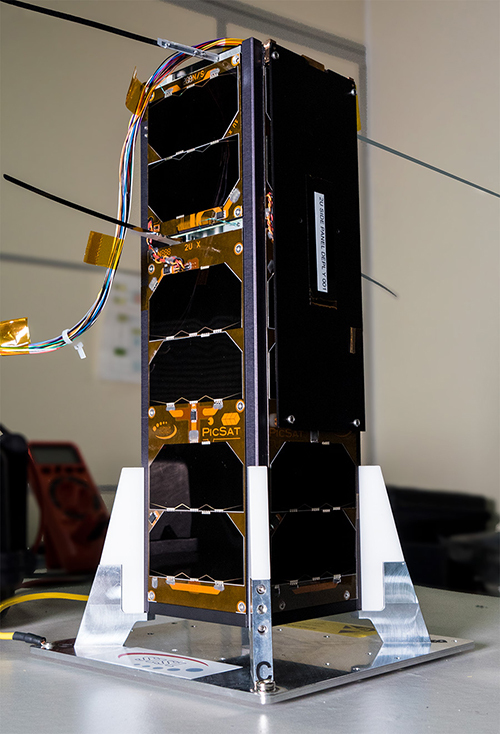 One really cool thing about PicSat is that it is one of the few CubeSats worldwide with an astrophysical science goal, and is the first CubeSat aiming to provide answers in the challenging field of exoplanetary science. Q. You say that PicSat is made of three cubic units — do these units each have different roles in the operation of the satellite? A. Absolutely! The top and middle cubic units house the “science payloads”, whilst the bottom unit contains the onboard computer. More specifically, the top cubic unit of PicSat contains a small telescope. Thanks to the brightness of Beta Pictoris, the mirror of this telescope can have a diameter of just 5 cm. This telescope sends the light from Beta Pictoris down into the middle unit. Here, a tiny optical fibre, three micrometres in diameter (or about a fifth of the size of a thin human hair) collects the light and guides it onto a sensitive photodiode that accurately measures the arrival time of each individual photon. Because light will be guided by the tube-shaped fibre, unwanted light will be prevented from entering the photodiode. This allows for a very accurate measurement of the star’s brightness. Imagine looking through a tube — you are able to focus much more easily on a distant object than if you use just your unaided eye because the tube prevents peripheral light from entering your eye. Optical fibres are often used in ground-based telescopes, but this will be the first time an optical fibre is flown in space for astronomical observations. However, PicSat will wiggle and wobble a little as it orbits the Earth, so the accuracy with which it points at Beta Pictoris wouldn’t be good enough for the telescope to send all the light from the star into the small fibre all the time. 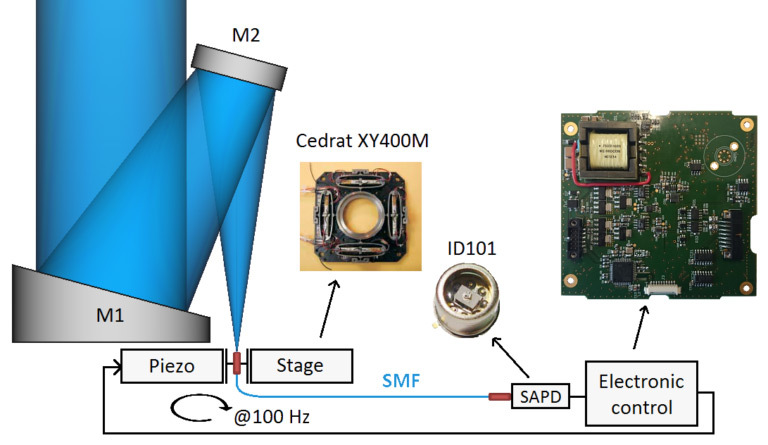 We devised an innovative solution to this problem by connecting the optical fibre to a small plate, a “piezoelectric actuator”, that can track the star and immediately follow it to remain on target. A “naked” PicSat, with its cover removed so that its science payload is visible. The optical fibre is in the centre of the image. The bottom unit of PicSat contains the onboard computer for operating the satellite, communicating with Earth, raw pointing of the telescope and other important monitoring tasks. The whole satellite is clothed in solar panels that provide the satellite with energy, but it does not need a lot. In fact, the total power consumption of PicSat is about 5 watts, similar to a small light bulb! PicSat’s compact optical system collects the light from Beta Pictoris and the electronics track the star’s position. Inbuilt electronics include a precision stage for moving the optical fibre and a state-of-the-art photodiode. Q. And what exactly will happen when PicSat observes a transit? A. If PicSat detects the beginning of a transit, whether it be Beta Pictoris b, its Hill Sphere, or any other transit like phenomena, ESO’s 3.6-metre telescope will immediately be put into action. Dr Flavien Kiefer from the Institut d’Astrophysique de Paris will lead the ground-based observations and has guaranteed time using HARPS to support PicSat. He will be the one to respond quickly to our online alert. Another exciting thing this project might address is that the Beta Pictoris system is rich in objects thought to be comet-like, which have often been observed spectroscopically by ESO telescopes. The presence of these objects has been inferred through the absorption lines of elements such as calcium, sodium and iron present in the object’s tails, which appear in the spectra and disappear again as they transit the star. However, a photometric detection of the dust in a cometary tail passing in front of Beta Pictoris has not yet been achieved. PicSat could well provide us with the first of these observations, which would confirm that these objects are indeed exocomets. If combined with an immediate follow up by HARPS, this would provide new and unique information about such comets and the system as a whole. Q. And finally, I’m curious to know what could go wrong and how you would deal with any problems that might arise. A. As with any space mission, things can, of course, go wrong! This is the first time that our team (and in fact the LESIA lab!) has constructed an entire satellite, and with a small team, low budget and short time-scale, risks are higher than for conventional missions. We were most concerned about the launch, but that was a huge success this morning!! So the next stage is to cross our fingers that the automatic initiation sequence that will start PicSat works successfully. At the end of this sequence, antennas will deploy — critical for communication with the satellite. Antenna deployment and pointing at Beta Pictoris have been tested many times in the lab, so we are hopeful that they work in space as well. As for how we would deal with it, well that really depends on the problem! Fortunately, we have a varied and intuitive team and we believe can adapt to most situations. The PicSat satellite was successfully launched at 05:00 CET on Friday 12 January 2018. Follow the progress of the mission and find out more about the project at https://picsat.obspm.fr. Using data from China’s LAMOST telescope, a team of astronomers have derived how the orbital shapes distribute for extrasolar planets. The work is recently published in the journal Proceedings of the National Academy of Sciences of the United States of America” (PNAS). The lead authors are Prof. Jiwei Xie from Nanjing University and Prof. Subo Dong, a faculty member of the Kavli Institute of Astronomy & Astrophysics (KIAA) at Peking University. The Large Sky Area Multi-Object Fiber Spectroscopy Telescope (LAMOST) telescope in Hebei, China. It is the most efficient spectroscopy machine in the world. The Kepler satellite launched by NASA in 2009 has discovered thousands of exoplanets by monitoring tiny dimming in the brightness of stars when their planets happen to cross in the front (called “transit”). 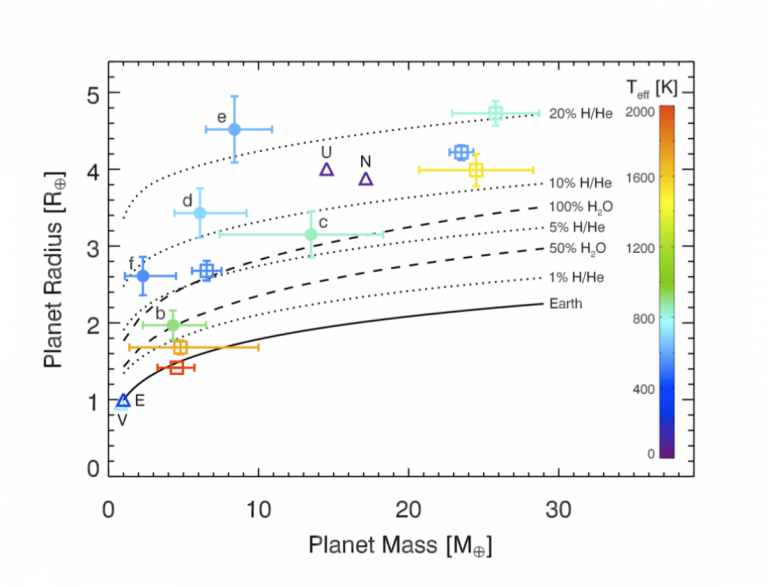 Many of the planets discovered by Kepler have sizes comparable to that of the Earth. 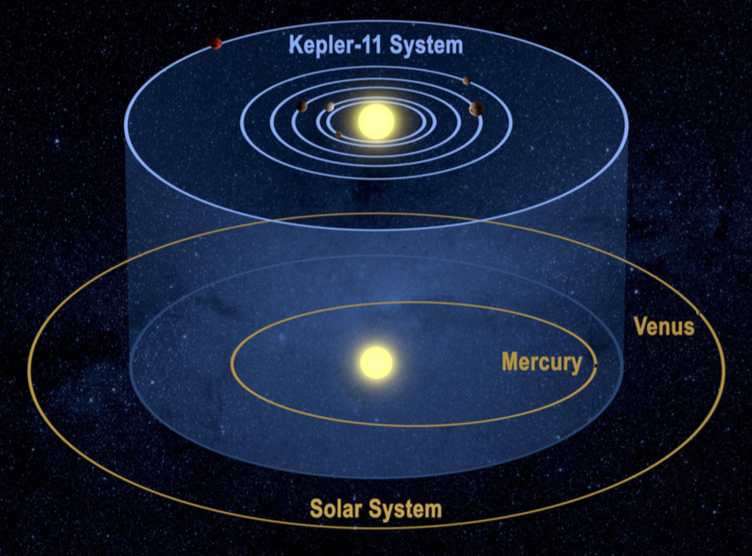 Kepler’s revolutionary discoveries show that Earth-size planets are prevalent in our galaxy. However, data from the Kepler satellite alone cannot be used to measure the shape of a transiting exoplanet’s orbit. To do so, one way is to use the size of the planet host star as a “ruler” to measure against the length of the planet transit, while implementing this method needs precise information on the host star parameters such as size and mass. This method has previously been applied to the host stars characterized with the asteroseismology technique but the sample is limited to a relatively small number of stars with high-frequency, exquisite brightness information required by asteroseismology. Thanks, I am just glad my work is appreciated. I do it for the love of bringing this material which the press ignores to the public. I have about 800 readers in North America , Europe, East Asia, Africa, and the Middle East. No contests.